All the anticipation led to huge disappointment regarding occupancy BO figures. The flick got good occupancy as compared with the data of Friday. The stats increased a little bit, but, still, couldn’t live up to the expectations. Read on to find out how much it minted at the box office on the second day. We have already notified you of the last post that the situation for this film is not exactly of doing or die. It is still left with chances and can do well. All it requires is better and strong word of mouth at this point of time. The movie saw an increase in its occupancy on Saturday, but it didn’t well as it was expected to do. The increase has been observed in metro cities. However, it didn’t rise to the mark. Hopes for any movie stays there for the first weekend only. Saturday has passed and now there is only Sunday remained. The film utilized Saturday to some level but failed to live to the expectations. It is necessary for a big budget film to fare very well in single screens and mass areas. On day 2, the film of Hrithik Roshan saw a poor start. The occupancy figures were similar but negligible better than yesterday. A more minimal increase came in for it. Later on, the numbers increased with evening and night shows. It all took the Mohenjo Daro collection to a decent figure. The film sustained good today. It was an approximate increase of 15%. It needed to grow by 50% to reach and ensure a good earning. The growth is good to measure, and it looks decent. Let’s see how much big turnaround it can do on Sunday. 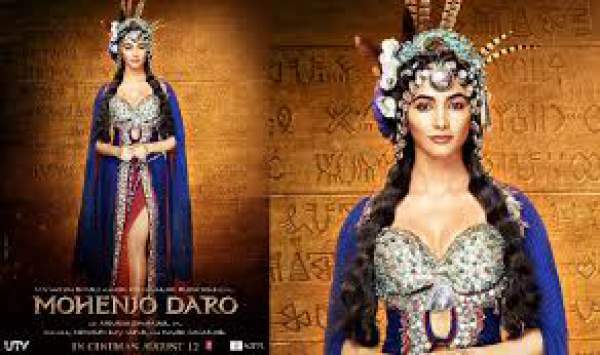 MohenjoDaro box office collection for 2 days sums up to around 20 crores INR from the domestic market. It is a high-end budget film which is made with an enormous investment of Rs 120 cr. After that, distributors took it for 80 crores. So for now, it is now required to earn around Rs 125 cr to be termed as an average grosser. The collection done of Saturday will point in the direction of how it is going to fare on Sunday and then, its lifetime run. The case with this film is complicated as it witnessed a low opening and it had a clash too. So, it is hard to predict its future precisely. Feel free to share your views and thoughts regarding the film with us via commenting below. Don’t forget to share it on social media sites too in order to share it with others. Stay tuned to The Reporter Times.